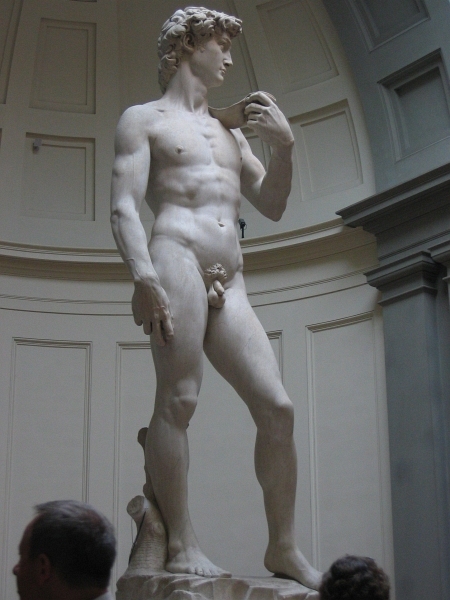 Andrys Basten | all galleries >> ITALY Photos - Tuscany photos - 2006 (partial) >> Florence photos, #1-b - Michelangelo's DAVID, Ghiberti, Fra Angelico > David was cut from a block discarded as useless. David was cut from a block discarded as useless. Two other artists tried but found the marble piece impossible. Da Vinci also said it was useless. Sometimes the most beautiful thing can be found in something we discard and classify as useless. It takes a true artist to see beauty in the impossible.